Three talented singers of Mkhondo were recently invited to perform at the prestigious Miss Mpumalanga Beauty Pageant, set to take place on Saturday, 6 April, at the Communio Auditorium, in Nelspruit (Mbombela). The trio started singing last year whilst still attending Ndwanyone Higher Primary School under the leadership of their music instructor, Me Thabsile Ndlovu. When their teacher left the school, the boys continued to sing, but faced many obstacles as opportunities did not come easily. 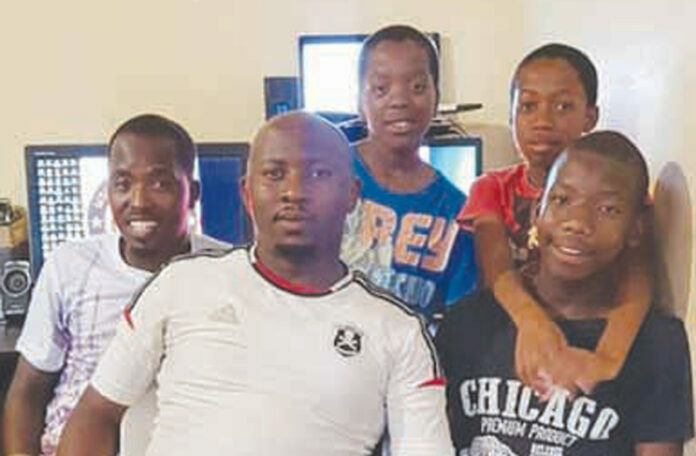 In December 2018, Mr D. Msibi met with the three boys during a performance at Phoswa, eThandukukhanya and he was in awe with their talent and has ever since been hard at work in helping them to achieve their goal of performing on television and developing their talent for singing even further. Mr Msibi’s organisation named the boys’ group The Happiness Music Group as these youngsters are truly rays of sunshine. They are always seen with a smile on their face. The group’s music videos have been trending on social media and various well-known individuals such as Siyabonga Nkosi (who played in the PSL and for Bafana- Bafana) and DJ Maphorisa enjoy their music. DJ Maphorisa invited the trio for a visit to his music studio during the June school holidays as well. The Happiness Music Group will be performing at the Miss Mpumalanga Beauty Pageant from Friday to Sunday (5 – 7 April) and the organisers of the event will also remunerate them for their performance. Mr Msibi would like to thank the members of the Mkhondo Abundant Life Community Church for paying all the expenses for this trip and for all their continuous support. All the best to Sabele Nkosi (12), Njabulo Thenjwayo (13) and Samkelo Mthimkhulu (14)! Go make Mkhondo proud!